Utilities continue to face massive disruption caused by DER to IoT, big data to even bigger customer expectations. They're transforming—becoming more agile and flexible. They're also adapting by investing in their core business to provide safe, affordable, and reliable services. PwC evaluated what we believe will be the top focus areas for the power and utilities industry in 2018. 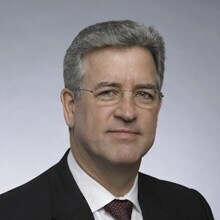 Rodger E. Smith is senior vice president and general manager of Oracle Utilities. He is responsible for leading a worldwide team in sales, services, product development, R&D, industry strategy, and marketing for mission-critical applications and services designed for the utilities industry. Prior to joining Oracle, Smith was president of the Enterprise Management Solutions division of Black & Veatch, which included Black & Veatch Management Consulting and the infraManagement Group, an operations and management provider for utility assets. In this position, he was responsible for developing strategy, services, and daily oversight of both business units. In addition to leading these businesses, Smith served as a member of Black & Veatch's executive committee. Smith was also president of Black & Veatch's Global Marketing and Communications division, which focused on media relations, reputation management, internal and external communications, and companywide brand and marketing efforts. In addition, he oversaw the company's Government Affairs unit, which was proactively involved in legislation and policies affecting the infrastructure industry. Prior to Black & Veatch, Smith was a director for PricewaterhouseCoopers, the world's largest management consulting and professional services firm. As a director, he was responsible for the development, delivery, and marketing of management consulting products and services to the utilities industry.